In the medical field, dentists have found a way to integrate technology to progress practice and the industry as a whole. It is exciting to see what this mix of medicine and 3D printing technology works out. The term coined for this mix is ‘digital dentistry’. Although medical 3D printing does exist, don’t get too excited here – these printers don’t print out a replacement tooth for you on demand, or anything like that. That’s in the pipeline, but right now, the printers are used to fabricate stone models quickly and accurately – the models can then be used to plan your procedure. So how is a ‘dental’ 3D printer any different from other 3D printers? Well, the printing material is different and for obvious reasons cannot be the same. The print sizes are relatively very small. The printers are expected to have a higher output hence they are designed for mass production. Conventional techniques are cheap, and they’ve been in use for decades. We spoke to Dr. Rohit Khurana, a Delhi-based dentist, about the traditional methods for creating a dental model. Switching to an all digital model brings in certain benefits that older methods simply cannot match, for example, now digital photo’s of the teeth can be taken and stored in patient’s record, the doctor will not only see it from one angle but will be able to analyse it from all angles possible.This method doesn’t use a dough, it is more accurate, more strong and highly accurate compared to the older method. Also the printed result is stronger, the doctor can move it around when planning a treatment, without worrying that it will break. The advantage of this technology is that it uses a biocompatible material called Med610 which is of medical grade, safe for medical use on the body. It can be used to print a drill guide, the surgeon can attach gums based on the plan derived from the model. The technology also helps save time, in some cases it brought down a patient’s visits from 10, to just 3 or 4 visits. 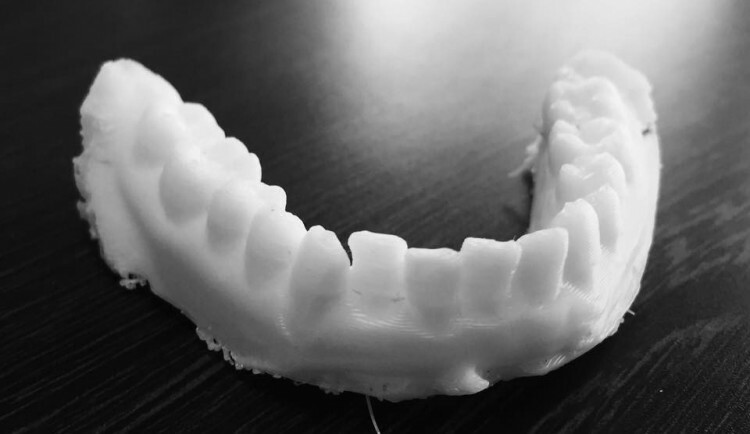 The use of 3D printing in dentistry is just the tip of the iceberg for the potential it holds in the medical field. Doctors are 3D printing bones, trachea in one case and other organs to help people. There is immense potential which is yet to be explored, as the technology keeps getting better, the range of applications will also diversify.